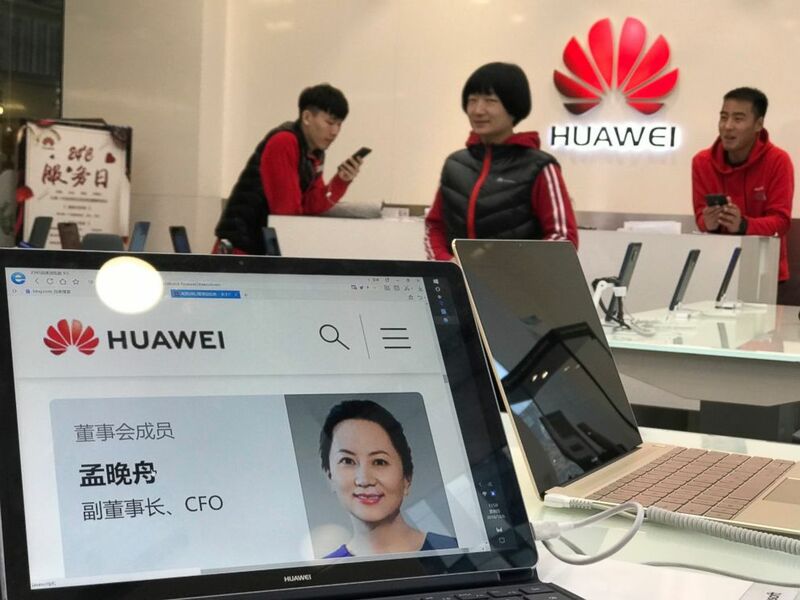 Huawei said its CFO, Meng Wanzhou, was "provisionally detained" in Vancouver and is sought for extradition by the U.S. government, the telecommunications giant said in a statement. It said it was not aware of any wrongdoing by Wanzhou, the daughter of the company's 74-year-old founder, Ren Zhengfei. Huawei also noted that it hadn't violated any U.S. sanction laws. "The company has been provided very little information regarding the charges and is not aware of any wrongdoing by Ms. Meng," the statement said. "Huawei complies with all applicable laws and regulations where it operates, including applicable export control and sanction laws and regulations of the U.N., U.S. and E.U." "U.S. and Canada have not given any reason or clarification for the detention of this individual," Chinese Foreign Ministry spokesperson Geng Shuang said at its daily briefing Thursday. Wanzhou was arrested while transferring flights in Canada, according to the company. A bail hearing has been tentatively scheduled for Friday, a spokesman for Canada’s justice department told The Associated Press. "At the request of the US side, the Canadian side arrested a Chinese citizen not violating any American or Canadian law," the embassy said. The Chinese side firmly opposes and strongly protests over such kind of actions which seriously harmed the human rights of the victim." "The Chinese side has lodged stern representations with the US and Canadian side, and urged them to immediately correct the wrongdoing and restore the personal freedom of Ms. Meng Wanzhou," it added. The same report discusses security risks posed by Huawei, including a 2012 investigation by the U.S. House of Representatives Permanent Select Committee on Intelligence that concluded "the risks associated with Huawei’s and ZTE’s provision of equipment to U.S. critical infrastructure could undermine core U.S. national-security interests."